of the product you select. year from the date of purchase. 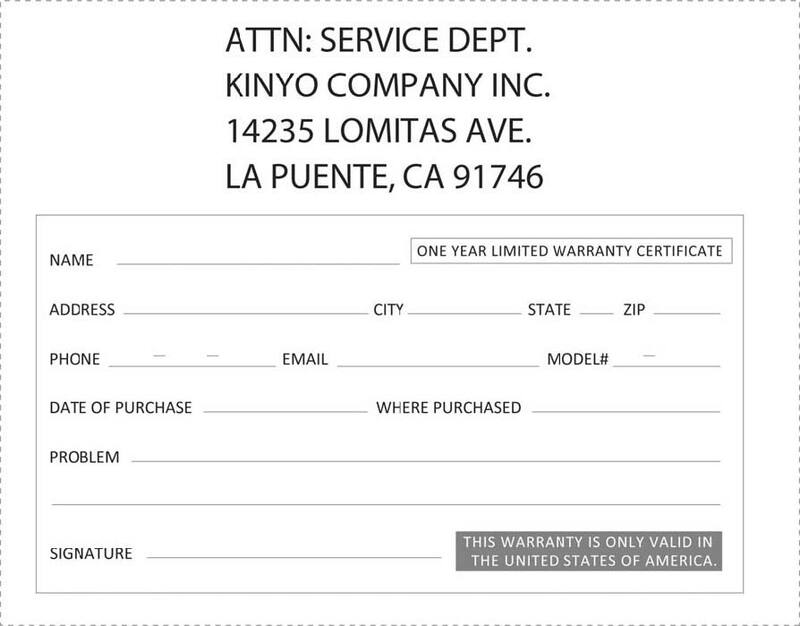 Kinyo will, at its option, repair or replace the defective product at no cost to you during the warranty period. within a reasonable period of time and free of charge. Once we receive your returning product, we will contact you either phone or email. 1. Fill out or download the warranty card. 2. Label and ship the product and warranty card and freight prepaid . Copyright©2012 kinyo, lnc. All Rights Reserved.